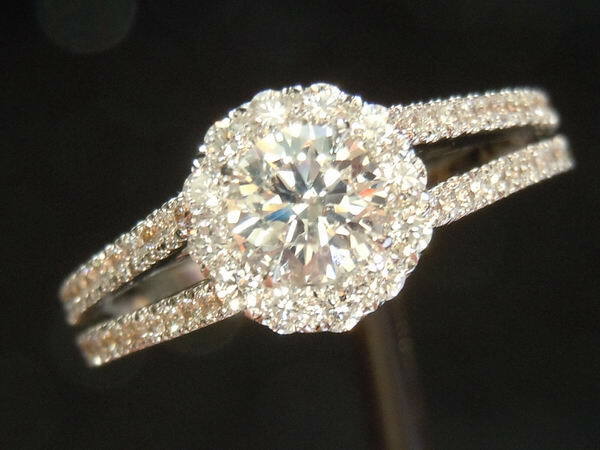 Here we have a round brilliant diamond halo ring. The round brilliant diamond is very well cut - full of life and sparkle. With a color of G, you are getting a nearly colorless diamond. It's a very bright stone! 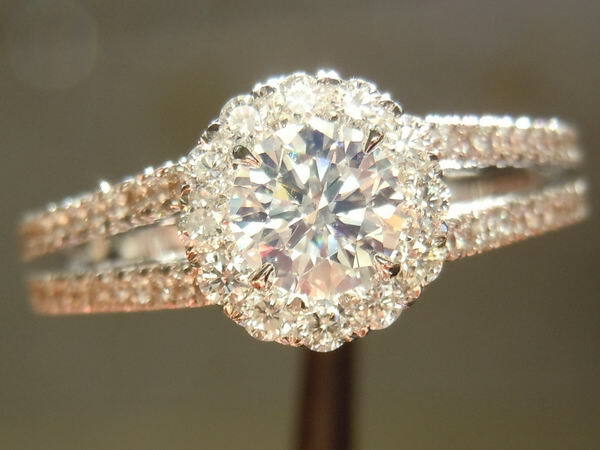 The center diamond is surrounded by a lovely halo. 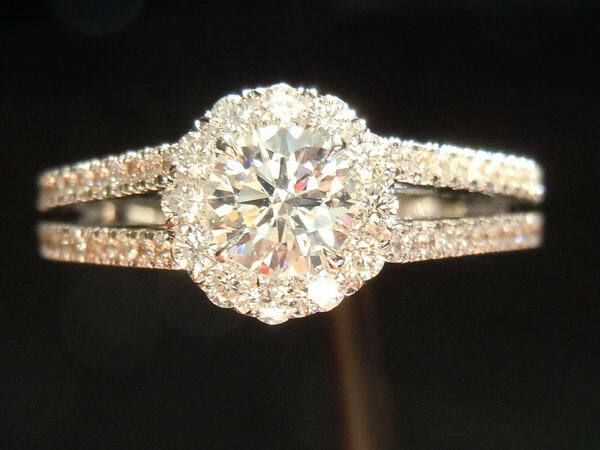 It not only adds to the sparkle of the ring, but it also helps to make the center stone look even larger from a distance. This ring is well made with a very feminine feel. The lines are lovely and it looks fantastic on the finger. 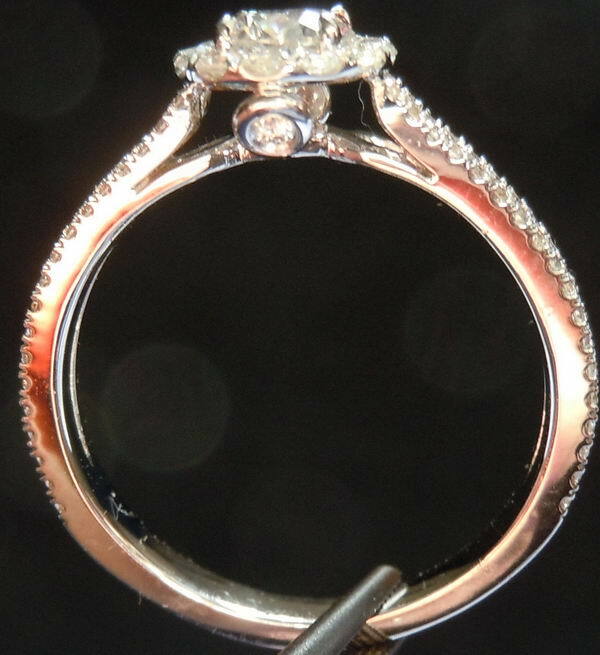 The split shank is covered with well cut diamonds giving off a lot of sparkle. 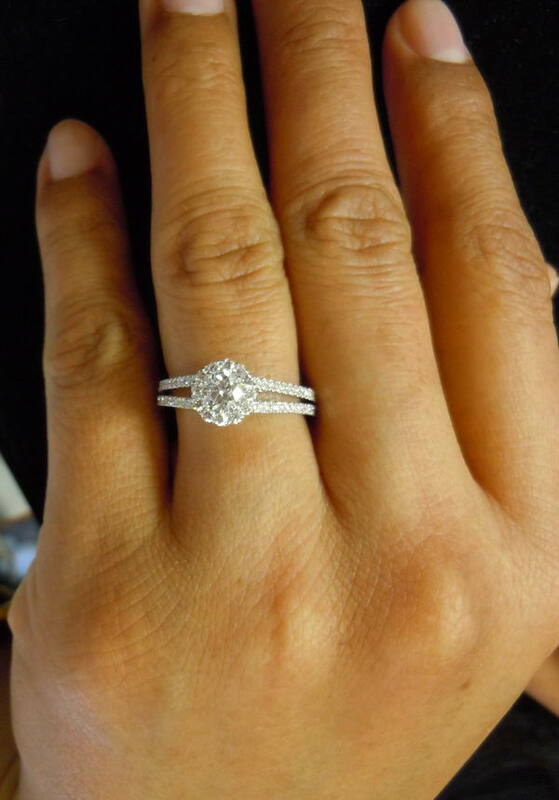 Even from the side view you get a hint of sparkle with the "surprise diamond" set into the side. It's a very beautiful ring at a great price!